And suddenly we have a beautiful wood floor in place. Installers arrived today, and were done with the installation (about 300 sq.ft.) by early afternoon. Four experienced guys, moving fast; it went down quickly. 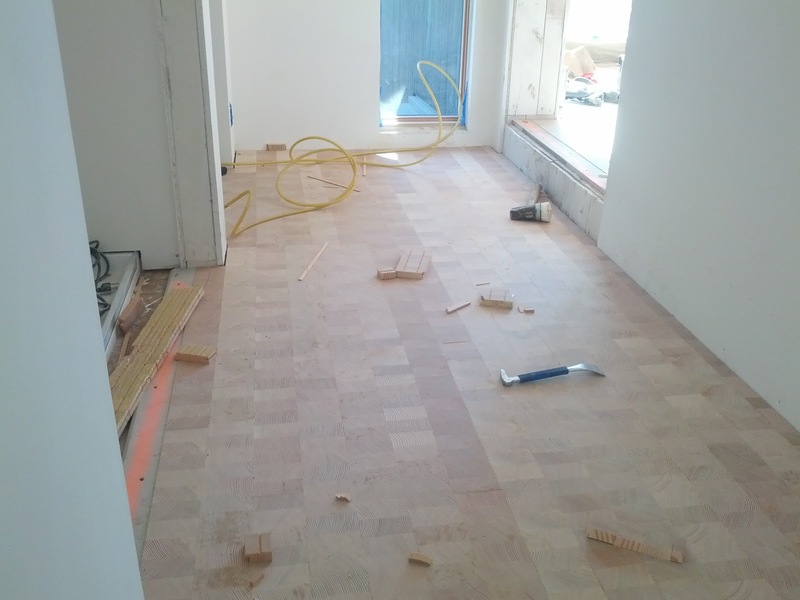 First we need a couple days to let the mastic set (glue-down) floor. Then a series of sanding passes. Then crack filler, which needs to dry. Then cleaning and applying finish. Allow to dry for a day or two. Allow to dry for a day. Then burnish and polish in a third coat of finish. Hallway at the top of the stair. 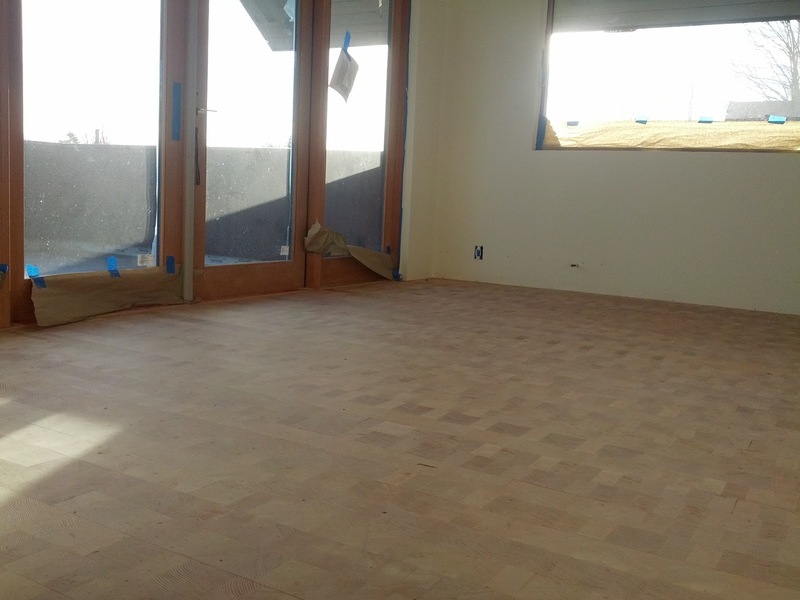 This is solid, end-grain, douglas fir flooring - basically a whole bunch of little fir blocks stood on end. 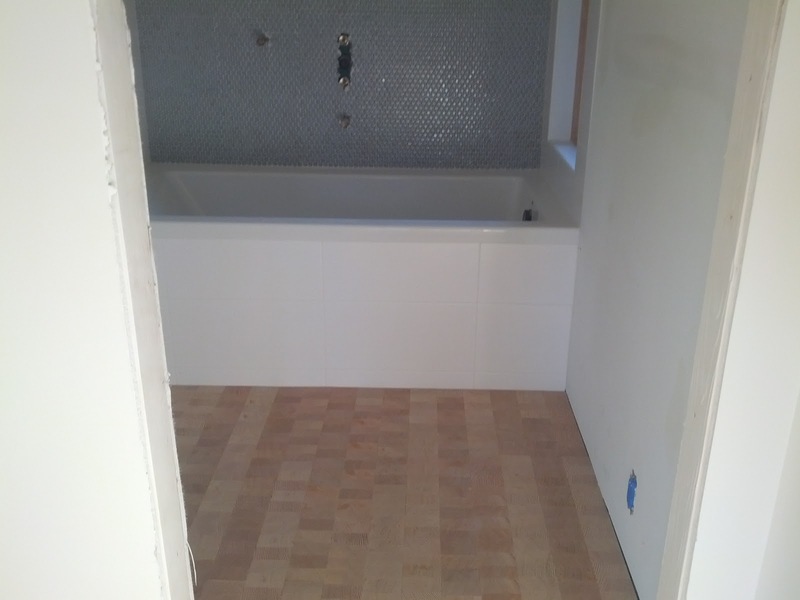 We think it is a beautiful flooring option. And it has the added benefit of being amazingly durable and scratch resistant. One client of mine installed this floor in one room of her home, and her three large and very active dogs proceeded to trash every other new floor in the house. 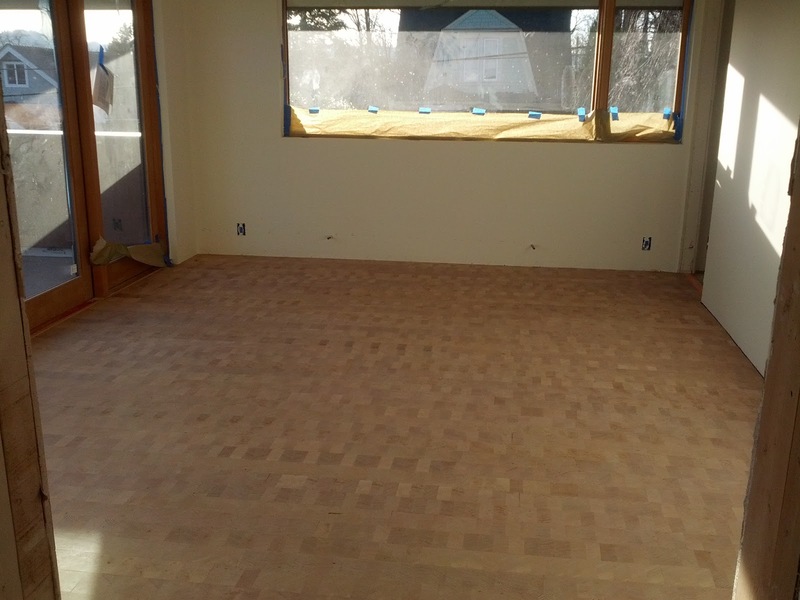 Only the end-grain flooring looked good after a few years. Also on the plus-side, it is made from small offcuts - essentially waste pieces - of other lumber milling operations.